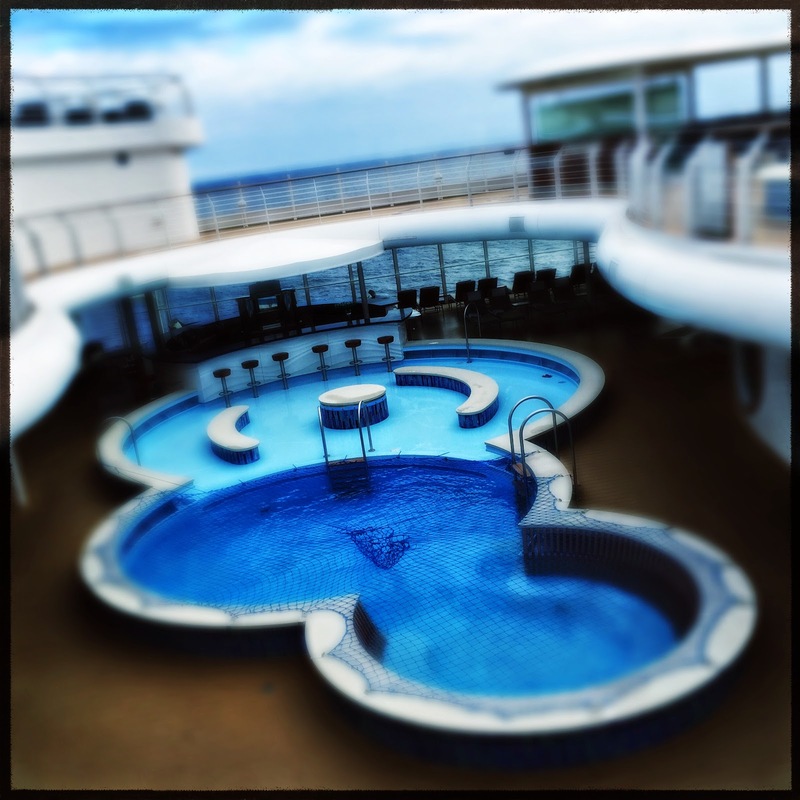 Disney Hipster Blog: Quick Thoughts On Our Cruise. Quick Thoughts On Our Cruise. Hey guys! We're back! Though, through the power of Buffer and magic, you may have never noticed we were gone. Regardless, we are in fact back on land after a week aboard the beautiful Disney Fantasy. You may recall that last year we went on our first Disney cruise...three nights on the Disney Magic...which acted as a test to see if we were "cruise people." We certainly were and decided to take the plunge with this much longer voyage. We were a bit nervous about the length of the cruise and the potential boredom that three days at sea might bring. However, these long stretches of "nothing" proved very helpful indeed, and for the first time ever both Adam and myself were able to relax. Relaxation is almost impossible for us at either Walt Disney World or Disneyland. I'm not sure whether its the over stimulation of my surroundings or simply eager to document absolutely everything, but we are always completely exhausted at the parks. The length of this cruise proved just the ticket. We spent countless hours lounging on decks 4 and 13 reading and collecting a nice sea salt crust on our glasses. (yes, that is a real thing that happens...) Plus, we had coveted Rainforest passes and found time to use this private area of the spa every day of the trip...talk about relaxing. If you don't know about the Rainforest watch this video from Inside The Magic. Between all the relaxation we had a lot of fun galavanting around this ship, snapping pictures, and collecting some fun blog posts. These posts will be spread out over the course of the year, similar to the way we slowly review the Magic last year. This is both for your benefit as well as ours. We love to relive our adventures throughout the year instead of rushing through them immediately. 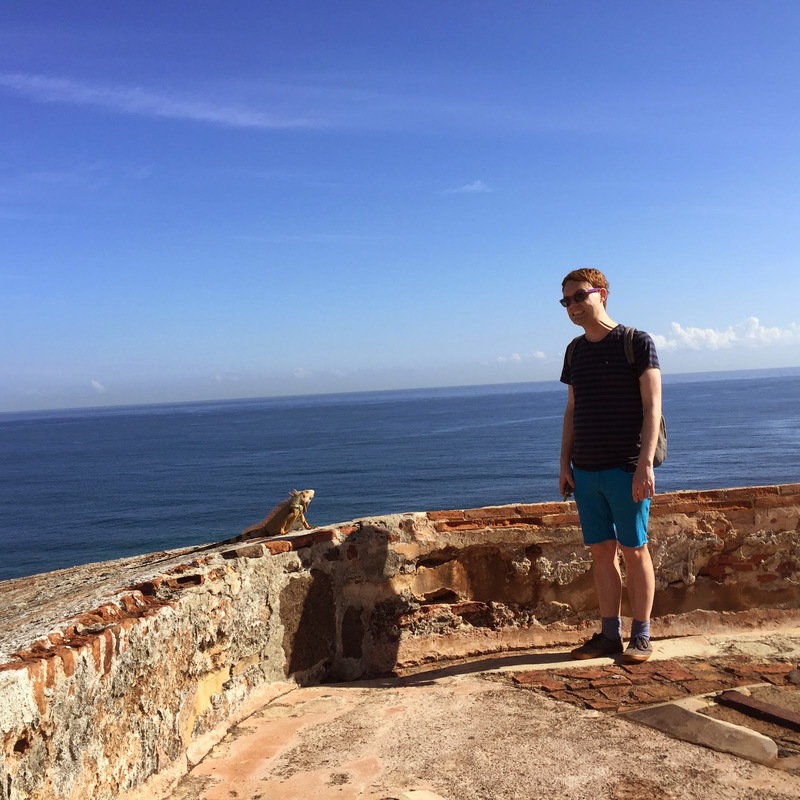 Adam and an iguana in San Juan. Beer makes St. John better. I doubt I will dedicate anything specifically to our ports of call, other than Castaway Cay that is. I can say quickly that we really fell in love with San Juan, and can't wait to visit again. What a beautiful and fun city! However, our time traversing St. Thomas on our way to St. John was too exhausting to really enjoy...plus transportation cost nearly $100. Yikes. Both islands are super pretty, but we probably won't get off the ship their if we return. 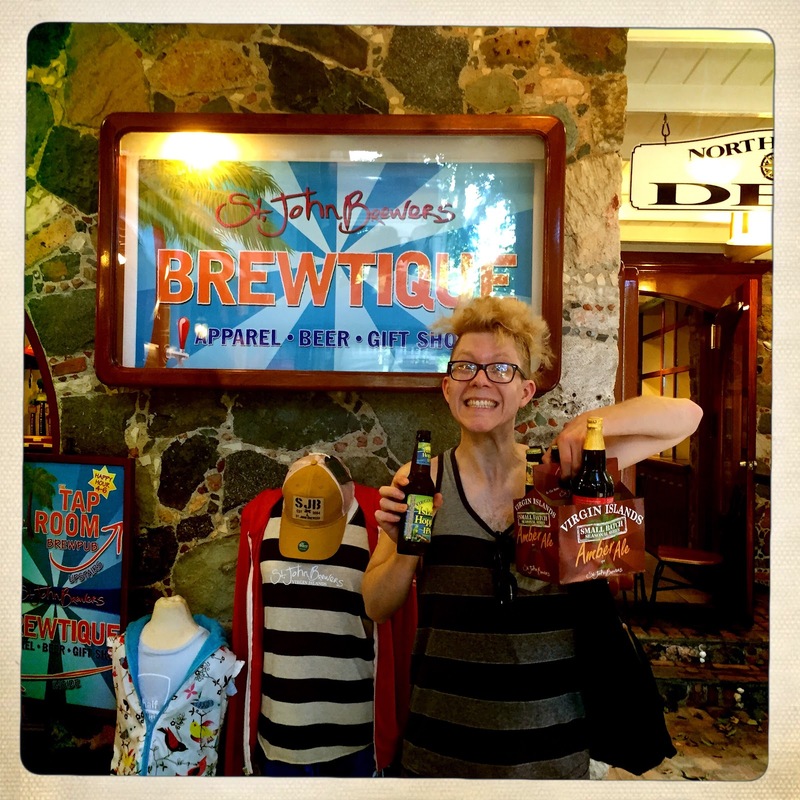 A highlight from our experience was visiting St. John Brewers where we bought sever bottles of their yummy beer. The double IPA was seriously special. Europa the adults only nightlife area consists of five different bars, all very well themed. I have collected a lot of photos and video of this area, so extensive posts will come in the future. Oddly enough, we spent the most time in either O'gills or La Piazza...which really surprised us. 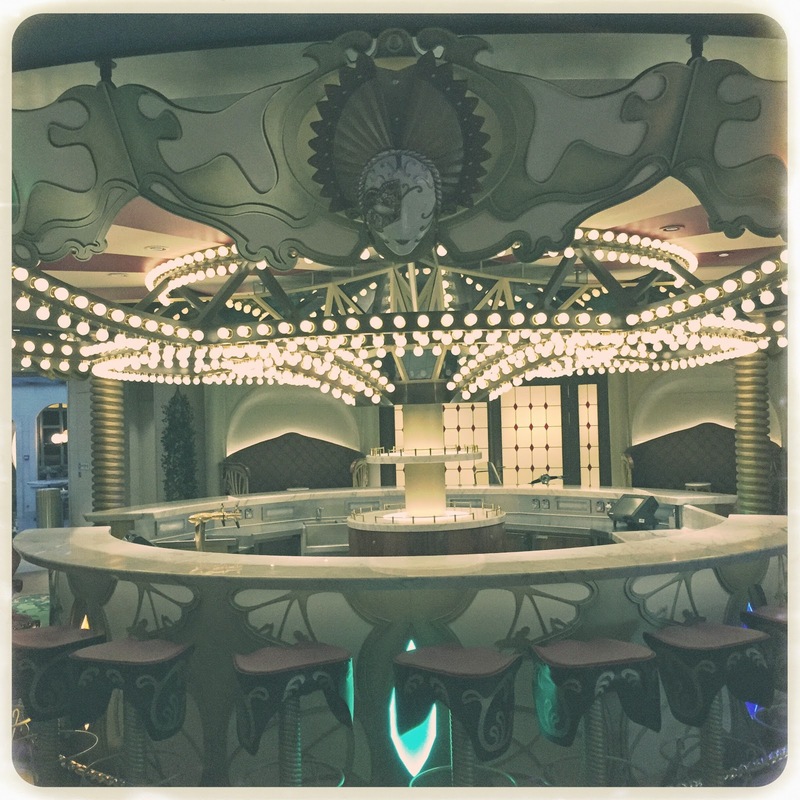 You know that we will have review of all of the restaurants on The Fantasy in due time, but the overall consensus is that the quality in generally superior than The Magic...though the rotational dining menu took a real dive after the first three nights as they switched to their themed menus. 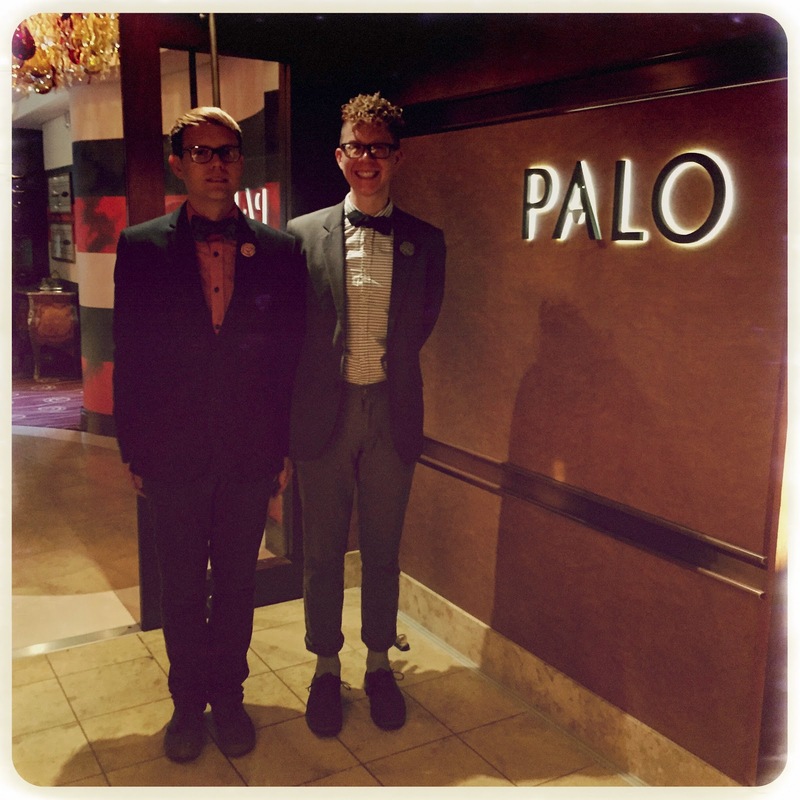 Palo was surprisingly good considering our blah experience there last year, and Remy was absolutely perfect. The entertainment on the ship was terrific. Each show in the Walt Disney Theater was better than the last, except for Aladdin which was just "ok." We actually found time to watch a few of the variety acts that are featured in the theater as well, and were pleasantly surprised at the quality of the performers. I generally do not like comedy, but these performers were all great. 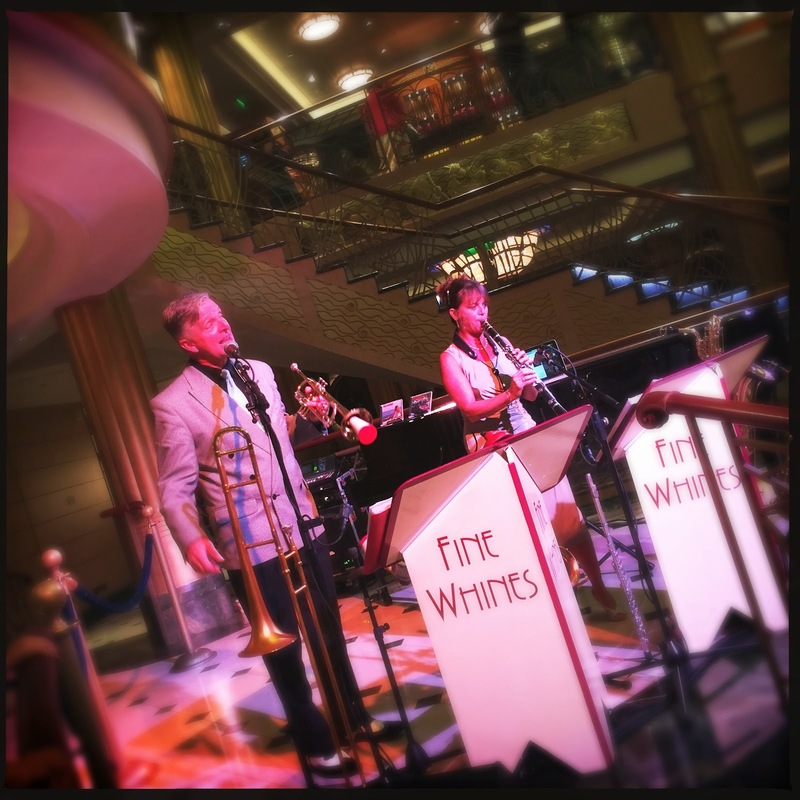 The absolute highlight of the entrainment, and possibly the whole cruise, were The Fine Whines. We had joked prior to the trip about wanting to see them, based on their silly name...but weren't actually serious. However, after a chance sighting of there show in the lobby atrium we were hooked. These two are incredible musicians and play the most eclectic and diverse repertoire. We managed to visit at least one of their sets every day that they played...usually in the atrium or La Piazza. Obviously we bought their albums, and can't wait to see them again. We're literally obsessed. In a blink of an eye the cruise was over, but we both agreed that seven nights is the perfect length. Its not that we wanted the trip to be done with, but we weren't terribly sad at the end either. Just an absolutely perfect way to spend a week. Relaxing and watching the world go by. I can't wait to share more in depth experiences with you! Make sure that you're following us on Twitter, Facebook and Instagram...to keep up to date with our projects and general frivolity. Indeed It was a great cruise and looks like you enjoyed it much. Its good that you shared the story here. I'm following you on facebook and twitter to catch more of your stories.